Sample shown using ENHD typestyle. $39.00 As Low As $1.22 ea. Set of 10 foldover note cards in your choice of color with matching blank envelopes included. Card size is approximately 5.5" x 4.25". Imprint is flat printed in ink color as shown. Printed return address available in flat black ink. Your choice of typestyle. 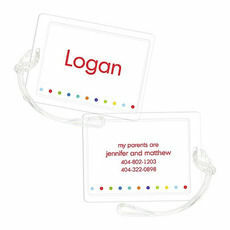 Personalization will be printed in ink color as shown.